YouTube not working on Chrome problem is a common inconvenience. No worry! Here are complete tips to solve YouTube not working in Chrome for Mac, Windows, Android, iDevices, Chromebook, etc. "YouTube videos not opening in Chrome, what to do?" When using Chrome to stream YouTube videos, you might encounter that YouTube not opening in Chrome problems, such as play YouTube with no sound, only get YouTube black screen, etc. 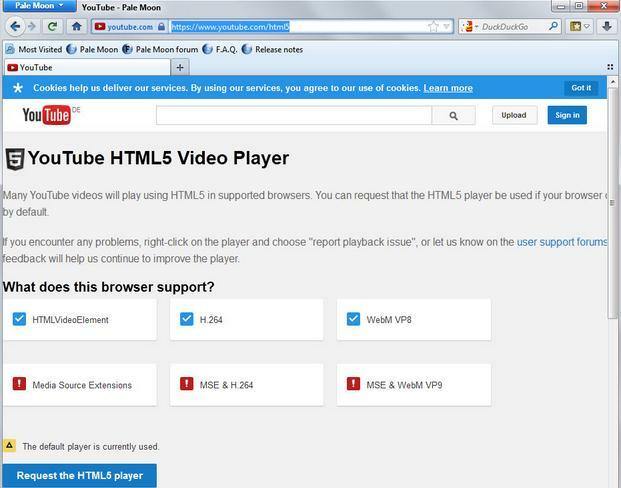 If YouTube is not working on Chrome browser, no worry! Follow below tips to fix problems of YouTube not working on Google Chrome. If you always find YouTube not opening on Chrome or YouTube not load in Chrome, why not download the YouTube videos from Chrome and play it without any problems. 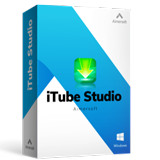 If so, we highly recommend iTube Studio YouTube Video Downloader to download YouTube for free and enjoy the YouTube videos without hassle. Download YouTube videos directly on your browser Chrome, Firefox, Safari and IE with a Download button. Download videos from Facebook, Vimeo, Instagram, Metacafe, Dailymotion, and 10,000+ more sites. 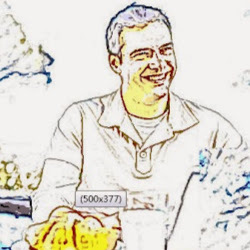 Record videos from any sites, including the unable to download sites according to your need. To play the YouTube on any platform, you can convert the videos to any video and audio format. The transfer feature allows you to export videos to iPhone, iPad, iPod and Android devices. Support to download media files from online cloud storage backup service provides like Dropbox, One Drive, Google Drive, etc. Private Mode to protect your video downloading info with a password known by yourself only. Click on the settings and go to "About Google". Some of the information stored in your browser cache or data might interfere with the working of YouTube. To fix this YouTube not working on Chrome, simply clear your browser's cache and cookies. With the following steps you will restore the default settings of the browser, effectively clearing the cache and cookies. To clear the cache and cookies open Chrome > on Menu > Settings > Show Advanced Settings > Clear Browsing Dat > Empty Cache/Delete Cookies. Alternatively go to Home Folder > Library > Application Support > Google on your computer hard drive and delete the Chrome folder. This problem can be easily fixed by updating your browser to the latest version. Another problem that might be causing YouTube not to function is outdated plugin. Windows computers use Flash Player plugin to play YouTube Videos. 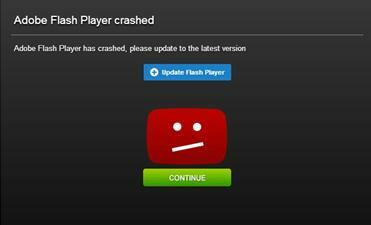 If YouTube is not working on your Chrome browser, you can fix the problem by downloading the latest version of Flash Player plugin. Another issue that may be causing YouTube not to function correctly is plugins conflict. When using Chrome browser on Windows 8, it is possible for two Flash plugins to be installed, one for the system and the other for the browser. These two plugins can conflict with each other, causing YouTube not to function correctly. To fix the problem, type about:plugins on your Chrome browser and scroll down to flash plugins. Expand the Flash plugin folder and disable the browser plugin and then restart Chrome. (The browser plugin will have a location directory starting with C:\Users\... while the system plugin will have a location directory starting with C:\Windows\System...). Just like with a computer, using an outdated Chrome browser on your Android device can cause YouTube videos not to play. To fix the problem; open the Google Play Store app on your device, click My Apps to view downloaded apps, scroll down to Chrome and update the browser. Another issue that may be causing YouTube not to work on your Android device is the internet connection, especially if you are not using a mobile network. To resolve the issue, disconnect from the network you are using, switch off your device, reset your internet connection and then turn on your device and try playing the videos again. When using Chrome on your iPad, the following problems might cause YouTube to malfunction. Using an outdated Chrome browser on your iPad will cause YouTube videos not to play. To update Chrome, go to App store, click on "Updates" located on the top right hand corner of the app page, scroll down to Chrome and then click on the "Update" button to upgrade your browser to the latest version. Another reason why YouTube might not be working in Chrome when using your iPad is if you are trying to play videos that are embedded in other websites. This problem can be fixed easily by copying the videos URL and opening them on the YouTube App on your device. Cache and cookies is the main reasons why YouTube videos fail to play. To solve the issue, close your browser and then delete your browser's cache and cookies by clearing your browser data. Another major cause of YouTube not working correctly on Chromebook is if there exists a conflict between one or more extensions or plugins. To fix the issue, you can try viewing YouTube in incognito mode, where extensions and plugins are not loaded. Alternatively, you can disable all your plugins and then start enabling them one by one while playing YouTube videos until you find the one that is causing the conflict. 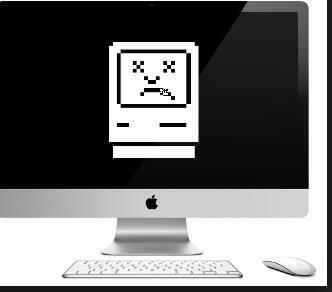 An outdated browser or software can cause YouTube not to work on your computer. Update your browser and software to the latest version and then attempt playing the videos again. If YouTube is working in other browsers such as Firefox or Safari but not working on Chrome, then the problems lies in the plugins. To resolve this, go to Chrome's address bar and type chrome://plugins, disable all plugins that might conflict with the flash player plugin, for example, pepperflash plugin and vlc multimedia plugin. After you have disabled them, restart your browser and attempt to play the YouTube videos again. Chrome just like any other browser needs to be updated for its effective functioning intended to be carried out by any given individual at any given time, hence one reason for YouTube not working on chrome is basically the fact that Chrome might be outdated at the very time its being used to play videos on YouTube.This issue can be worked on by checking for the browsers update to make it work effectively as per the updated version strength targeted.An updated chrome version has all requirements to handle YouTube works of which entails video playing that suits users needs. Adobe flash player is a vital plug in for majority of YouTube web browsers as it helps them stream most of YouTube videos .Lack of Adobe flash player on Chrome as one of the Web browsers in use worldwide results to YouTube not working on chrome as per expected of it.For proper working of Adobe flash player on Chrome so that YouTube videos get to play effectively it needs to be updated as outdated version of Adobe flash player on chrome will result to YouTube ending up not working ..Missing data of Adobe Flash player upon installation will also lead to YouTube not working on Chrome hence one needs to check that all data of Adobe Flash player are installed for its effective function towards using YouTube on Chrome. High definition videos also matters a lot in relation to working of YouTube on chrome.Everyone wants to view high quality videos for good viewing experience hence in a situation where one selects high quality state of video that is way much from its normal upload quality,this may result to the YouTube video not playing on chrome as expected of the viewer, hence its appropriate for any individual to view YouTube videos in accordance to its normal upload quality for proper viewing of the targeted videos.lts therefore better for an individual to view YouTube videos on Chrome using YouTube default settings for that particular video to avoid YouTube on chrome from not being able to work efficiently. YouTube not working on chrome may also be as a result of too many cache and cookies.Cache is a place to store something temporarily in a computing environment while cookies refers to a small text file created by a website that is stored in a computer either temporarily for that session or permanently on a computers hard disk.lts appropriate for chrome users to clear cache and cookies and then restarting their browsers for effective working of YouTube on chrome as a browser. Refreshing or restarting chrome a browser is very vital for effective working of YouTube on chrome. YouTube may fail to work on chrome due to some problems that arise due to background processes that run in the browser hence restarting or refreshing gives one a good platform to run YouTube effectively on chrome as the background problems in the browser would have been brought to an end.